With The Demise Of Starbucks Instore CD Sales, Will They Continue To Promote New Music? What will actually be the final nail in the coffin for the mass distribution of music retail? This is a juggernaut of a question and one to which many are seeking to find answers, but with little hope of a true resurgence of the sacred ground of what was once known as a record store. We have posted numerous other blog articles about this topic and where we personally think the music industry is heading. Listen to the speech at Midem about Digital Streaming or a great mini story on Streaming by PBS. One thing to not forget or to lose sight of within the demise of how music is being sold to fans, is that more and more music is being produced daily. With the ease of recording widgets, apps, programs and a solid DIY aesthetic, more bands and more music is being created on a mass scale that hasn't a clue about geographic boundary, due to the relevance of Itunes, Amazon and Youtube. Whether or not these bands get the attention or accolades is just a by product of the sheer amount of others looking to do the same thing. Although we have lost the brick and mortar locations to find out about more music, lets take a term from old Yellow Page ads and let your fingers do the walking. Type, google, search or just click links from any online media outlet and new music will be instantly filling your airwaves. The profound middlebrowness of Starbucks and many of its music offerings can't be disputed; the first CD the store offered, in 1994, was by Kenny G. But it's worth remembering that not too long ago, Starbucks was seen as a record-industry rebel, and the effective shuttering of its retail-music arm suggests that one vision for the future of music is dead. In 1999, the chain purchased the music-curation startup Hear Music, and in the ensuing years established a record label with big aspirations. “We believe strongly that we can transform the retail record industry,” Starbucks chairman Howard Schultz said in 2004, and evidently others agreed. Paul McCartney ditched EMI to become Starbucks's first signee, saying that the coffee giant seemed more excited about the musical innovation than his record company did. Other mainstream legends like Ray Charles and Joni Mitchell would soon come aboard, but so would younger, avant garde acts. “Starbucks is the new record store, right?” Sonic Youth’s Thurston Moore told a somewhat-horrified Pitchfork in 2007, and his colleague and then-wife Kim Gordon later said the band worked with the chain because it was “less evil” than their record-company parent Universal. The idea of using music to foster a gathering spot didn’t merely include stocking a handful of CDs in each store. Amid much hype, Starbucks rolled out retail kiosks where people could browse a library of thousands of songs and burn them to discs, for a fee. It seems like an inevitably doomed initiative now—and indeed only survived a couple years—but did represent optimism about reinventing the record shop in the digital age. “Starbucks is the new record store, right?” Sonic Youth’s Thurston Moore told a horrified Pitchfork in 2007. Starbuck’s musical efforts also made for one of the most high-profile examples of a commercial brand trying to double as cultural tastemaker. It played talent scout, signing newbie acts and famous ones alike, aiming to create some coherent aesthetic identity. In that 2004 Fast Company interview, Schultz talked about looking for "the next Norah Jones" and appealing to Tony Bennett fans alienated by Tower Records-like outlets that "skewed toward more MTV and a narrower, much younger audience." Similar partnership strategies have since been embraced by other brands, from Adult Swim to Red Bull to Mountain Dew, who sign buzz-catching acts embracing the 21st-century credo that "selling out" isn't possible. Why ditch CDs? A Starbucks rep would only tell me that the firm is trying to "evolve" its music offerings. But with sales of all formats but vinyl continuing to crater industry-wide, it's perhaps not shocking to see the end of the grand experiment in having a multinational coffee chain try and be the new erudite album retailer. Starbucks will stay in the music business digitally, but some see its retreat on physical sales as the final death knell for the CD in general. 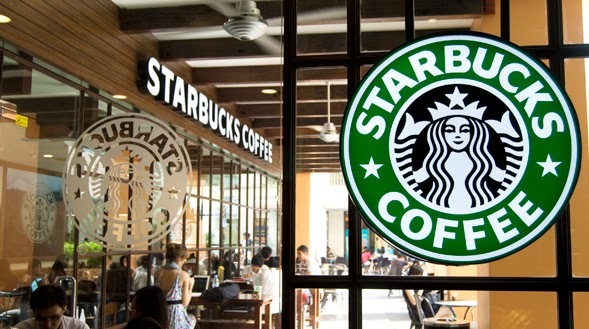 "Once you’ve lost Starbucks, you’ve lost the game," writes Ari Herstand at Digital Music News. Whether that's true or not, it is the end of one kind of music-shopping experience. At Gizmodo on Friday, Adam Clark Estes offered a wistful remembrance of making an impulse Vampire Weekend purchase with his iced coffee, and a commenter replied that it's bizarre to feel nostalgia for a soulless chain’s money-making attempts. Maybe so, but a failed revolution is a failed revolution—someone’s got to grieve."